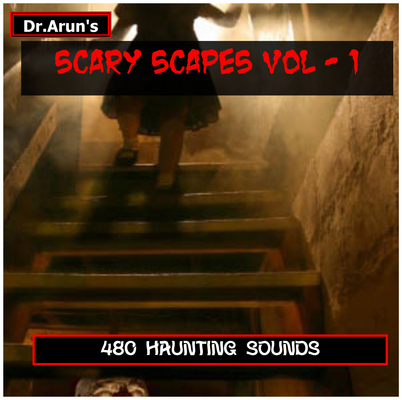 SCARY SCAPES SOUND VOLUME - 1 is an audio SPECIAL effects used in Movies , serials , horror shows . It has around 480 SCARY SCAPE SOUND effects . All are in high quality Wave files ( 120.0 BPM, Root note: A3, 44,100 Hz, 16 Bit, Stereo, Uncompressed ) . Some are in Mp3 format . You can use it in different projects . But you must never sell the loops .